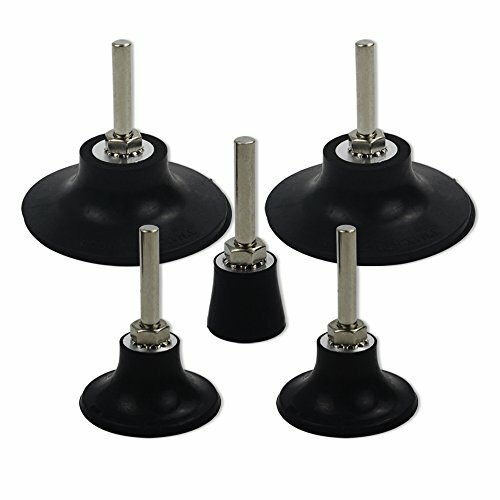 This is a perfect super-value set of 1", 2" and 3" disc pad holder kits! Heavy duty rubber pad, aluminum core with nickel plated removable steel shank. Our disc pads are designed to provide maximum performance and durability, and can be securely inserted into any rotating tool. A variety of different processing pads can be used to fasten on the mandrel of the power tool or drill bit. Add to the shopping cart now! If you have any questions about this product by Coceca, contact us by completing and submitting the form below. If you are looking for a specif part number, please include it with your message.